All Good Things are Wild and Free. 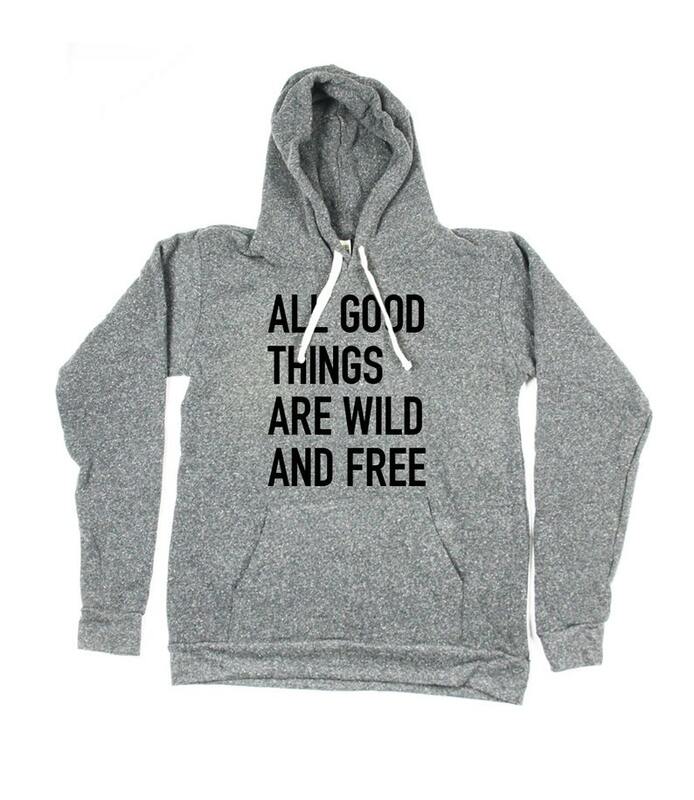 Men's heather grey sweater with "Wild and Free" quote print. Hand printed screen print for a nature lover. This series of inspiring shirts was created to celebrate the beauty of nature in the form of a super sweet sweater.